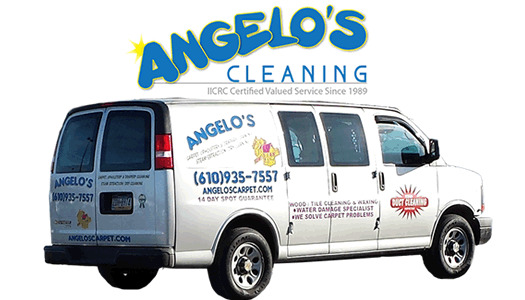 Angelo’s Cleaning – Where We Treat You Like Family! Now Hiring at Our West Chester Location! 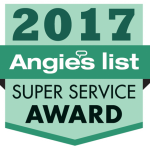 We are dedicated to providing excellent customer service and professional results with over 8,500 current active customers and kid and pet friendly cleaning agents. Our staff includes 3 IICRC Certified Master Textile Cleaners. Our mission is to make cheerleaders out of our customers! We service condo/ apartment buildings including high rise buildings. We always include a bottle of Angelo’s Spot Out with a FREE Lifetime Replacement with our services! 1. Good old-fashioned customer service! Now you can check pricing and order our cleaning services ONLINE! We serve the Philly Suburbs to the Northwest and West of Philadelphia PA including: Conshohocken, King of Prussia, Collegeville, Paoli, Wayne, Villanova, Exton, West Chester, Bryn Mawr, Chester Springs, Downingtown, Ardmore, Radnor and many other Philadelphia suburbs. View our list of local Pennsylvania towns to see all of the areas we service. See all the ways Angelo’s Gives Back to our community! Our service is guaranteed and always includes Pre-treatment and Scotchgard to give you the best possible service and protect your investment. All carpet Cleaning services include our 30 day guarantee against a spot reappearing. Should a spot re-appear, we will gladly return and touch-up the spot completely free of charge within the first 30 days following the services we provide. Even if you have a brand new spill in an area we cleaned within 30 days, we will return and take care of it free of charge! Every carpet cleaning service comes with our unique 6 month spot and spill warranty. Designed to help you keep your carpet fresh between regular cleanings, our warranty gives you access to professional touch-up cleaning at a reduced rate. The service charge is $59.95 and the touch-up cleaning is only $10.00 per cleaning area. So for a greatly reduced rate you can take care of spots, spills and high traffic areas without breaking the bank!